'New Faces Of 1956' and 'Mrs. Patterson', two Broadway shows produced by Leonard Sillman in the 1950s. 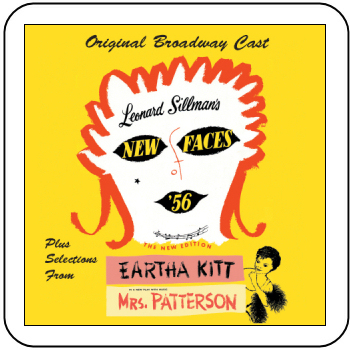 Presented here for the first time on CD is the complete Original Broadway Cast Recording Of 'New Faces Of 1956' plus selections from the Original Broadway Cast of 'Mrs Patterson' starring the legendary Eartha Kitt. NEW FACES OF '56 on CD for the first time! Featuring an array of nostalgic stars! To purchase as a digital download, visit our downloads page for further information.